There’s a good article on SurferMag online featuring WAVES for Development and a short discussion with founder Dave Aabo. 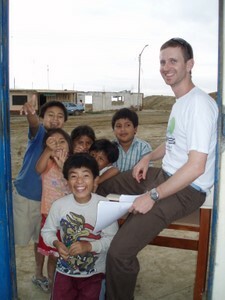 We did an interview with Dave and very much believe in what he’s doing down in Peru and other places around the world. Sustainable Business practices are something we’ve really wanted to dive into in more depth and we think it’s an important facet of how to make a huge impact overall. There are some for-profit as well as NGOs that are trying hard to do the right thing. It’s hard in the new world order of offshore production and global marketplaces to stand your ground, stick to your ideals and still pull off a successful business model that takes into account the finite resources around us. It’s good to see some of those people getting a little light shone on them, especially by the mainstream surfing press.